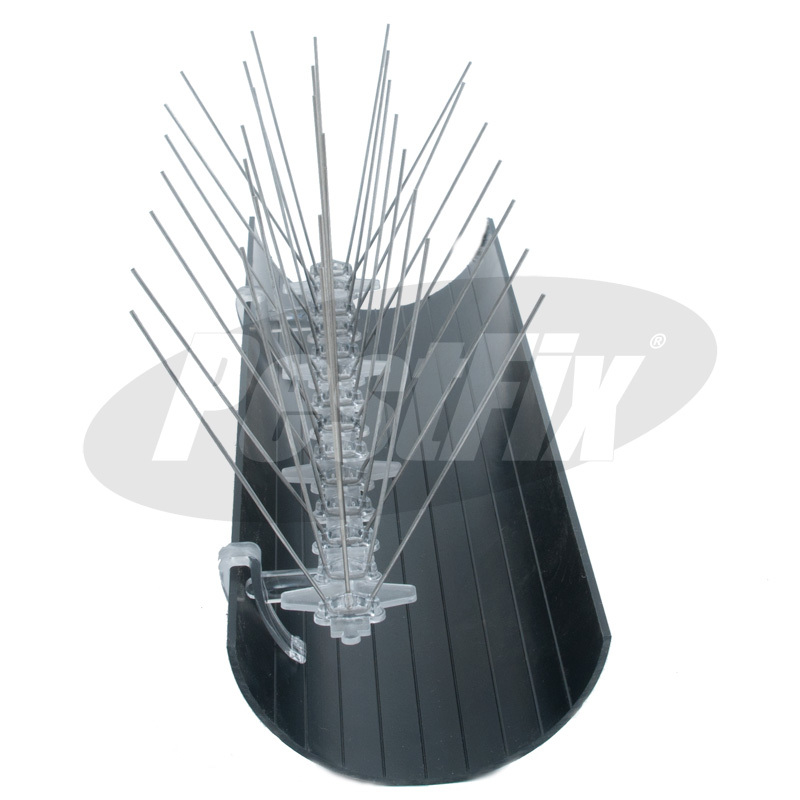 Clear polycarbonate clips used for mounting Bird-X bird spikes on rainwater gutters. Two versions BS321 for half round style & BS261 for Ogee/Lipped Gutters. 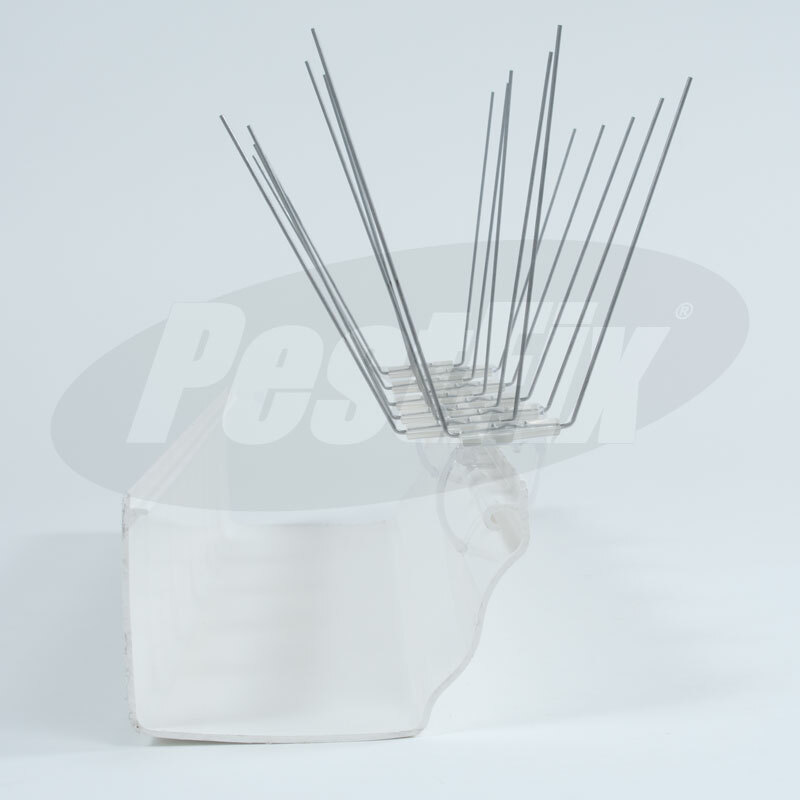 Sold in 1 metre packs consisting of 6 clips per pack, allowing 2 clips per 33cm strip. 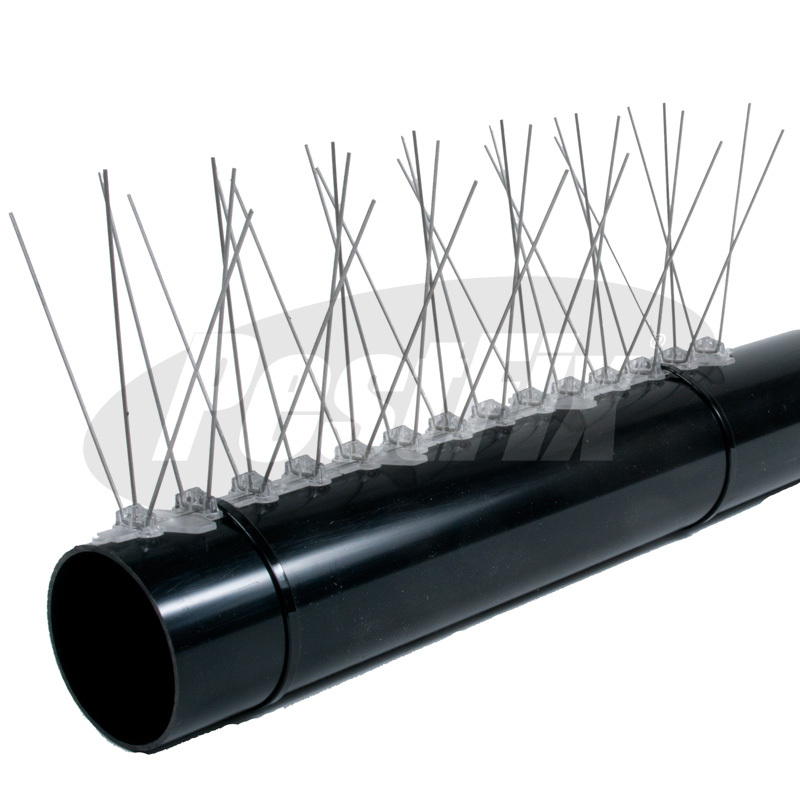 Ideal for stopping unwanted birds from perching on gutters and defecating over the side. 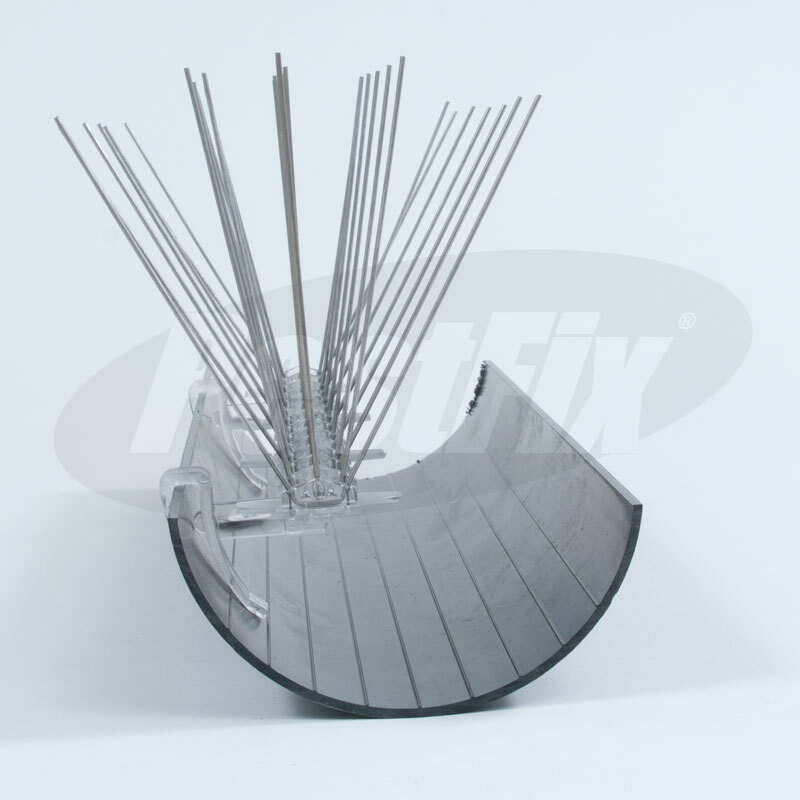 Spikes can be easily removed post-installation for maintenance access. Manufactured from virgin, UV stabilised clear polycarbonate. 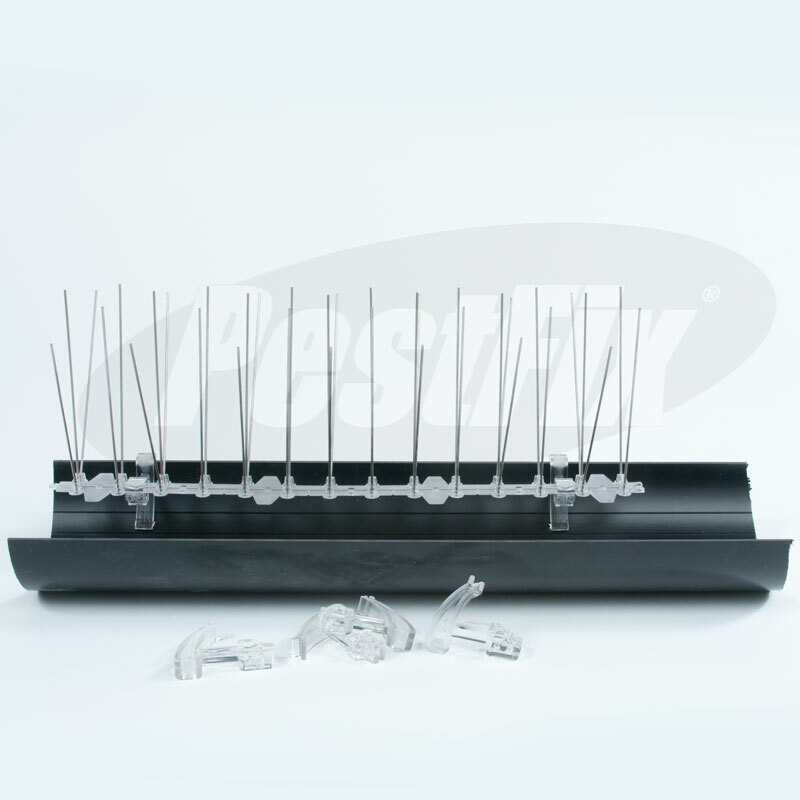 Theses bird spike gutter clips are only compatible with the Bird-X range of bird control spikes. 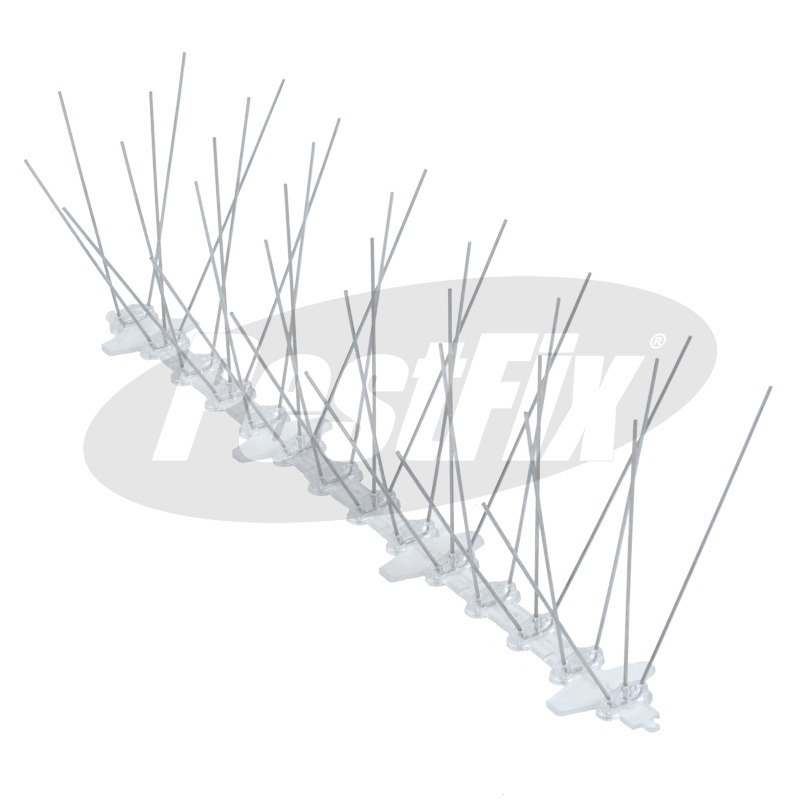 Clear polycarbonate clips to be used to attach Bird-X spikes onto the side of gutters allowing free flow of water underneath.